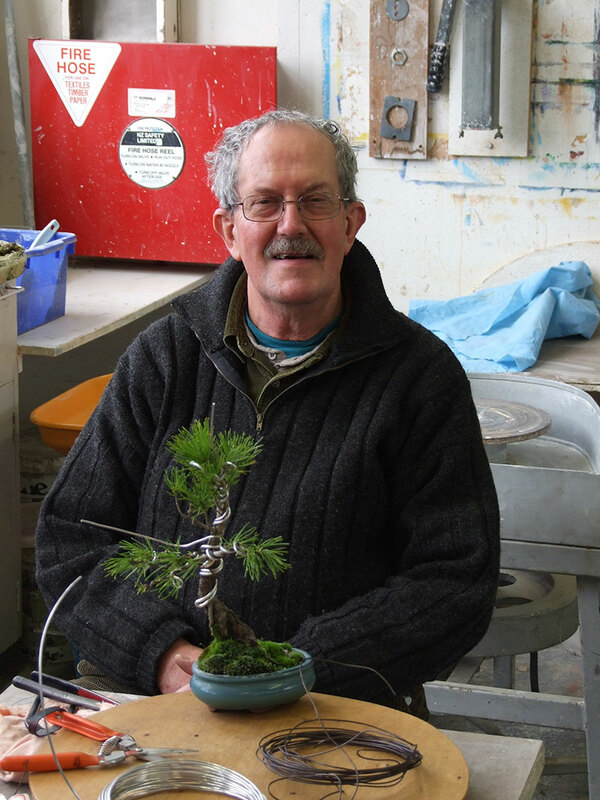 Jeff was a long standing member of the club when he sadly passed away at the end of 2015. He served for many years on the committee as Secretary and his wry comments in the minutes of the meetings was a source of delight to those who read them. Always ready to help he was known to have an enquiring mind and he would often ask why when people were talking about various aspects of bonsai horticulture. This often led to a better understanding by others as well. 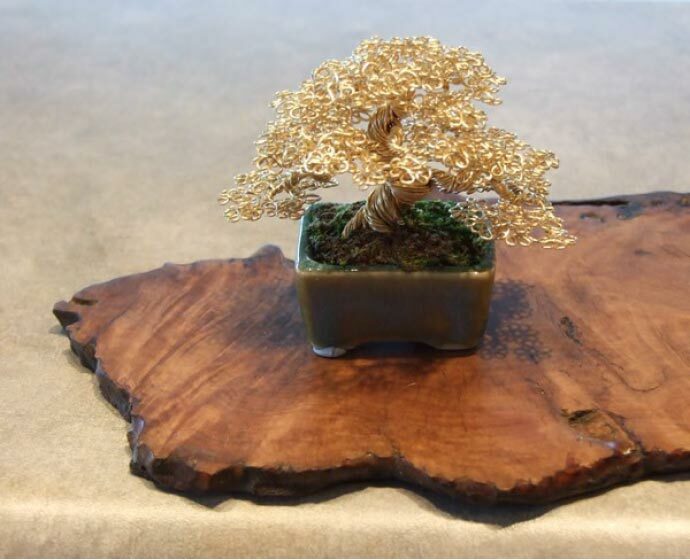 The memorial trophy is a gold wire bonsai in a pot created by Ken To of the USA. 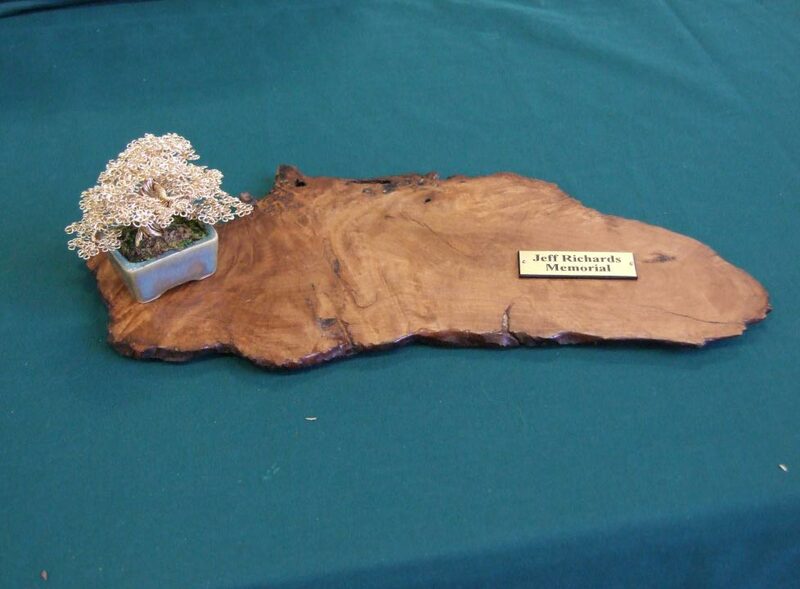 This is mounted on a piece of wood from the UK. 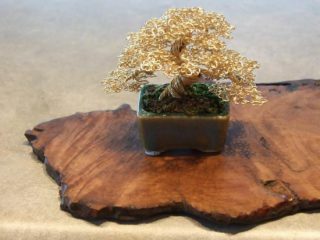 Why a wire bonsai? Jeff was well known for the trees he took to workshops. Whichever tree he took it would always involve many hours of wiring. Quite often his trees would go home heavier due to wire whilst everyone else took home lighter trees due to the material that had been cut off. 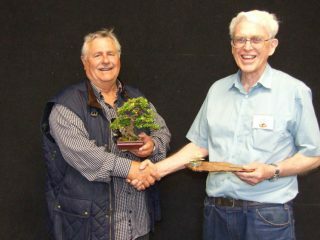 The 2016 Hamilton Bonsai Club Annual Show saw the inaugural presentation of the Jeff Richards Memorial award. The trophy is awarded at the Annual Show for the best New Zealand Native bonsai on display.